Vitamin C helps to keep stress and many health problems at bay. 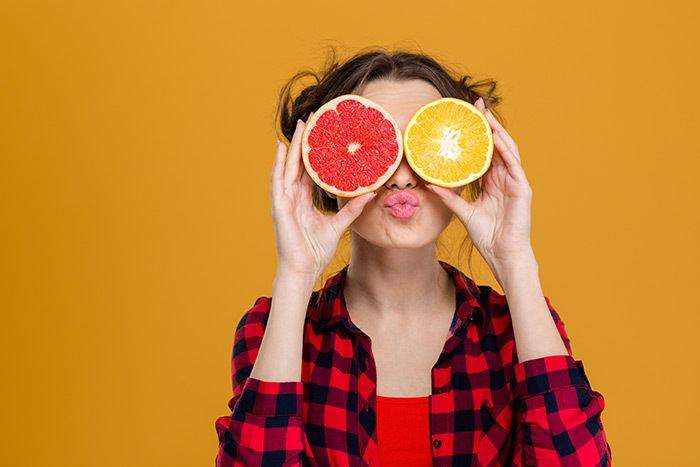 Fruits like orange, lemon, lime, bell pepper, broccoli, kale, grapefruit, and kiwi are good sources of vitamin C and minerals like calcium, potassium, magnesium, and zinc. Vitamin C helps in digestion and maintains blood pressure. It would be a good idea to eat at least one fruit that has a lot of Vitamin C every day.